Dew, Kevin. “Public Health and the Necessary Limits of Advocacy.” Social Epistemology Review and Reply Collective 5, no. 7 (2016): 26-29. Martin, Brian. “Public Health and Academic Freedom.” Social Epistemology Review and Reply Collective 5, no. 6 (2016): 44-49. Whilst I was an academic member of a department of public health I gained a great deal of respect for my colleagues. For most of them there was a strong sense of social justice underlying their work and a commitment to improving the health of the population. Brian Martin makes a compelling argument decrying the poor scholarship and argumentation offered by two Australian public health academics who have misrepresented the work of one of his PhD students. Professors David Durrheim and Alison Jones (2016) lapse into the unscientific argument that if research findings are critical of public health policy then public health policy people should have the power to suppress them. The public health academics are high profile scholars with excellent academic records. David Durrheim is Professor of Public Health Medicine at the University of Newcastle and he claims to be “an outspoken advocate for equitable global access to effective public health measures” (http://goo.gl/YM0uK2). He is an author or co-author on over 200 published journal articles. Professor Alison Jones is a toxicologist who is the executive dean of the Faculty of Science, Medicine and Health at the University of Wollongong. We would then expect to see a very strong, if not exemplary, commitment to scholarship from these two. So how are we to make sense of their lapse? Brian Martin (2016) suggests this is to be found in “an assumption by vaccination proponents that they are holders of the truth and should have the authority to control any dissent from orthodoxy” (48). I think this is a very likely explanation, but we are still left with the puzzle of how critically engaged academics can hold such an unscientific view that some policies are not open to criticism from other academics. As a sociologist who taught in a department of public health for eight years I have grappled with the kind of academic work that occurs in public health, which seemed to me to be doing something quite different from what I was used to in sociology. What immediately struck me when I started to get to know what my public health colleagues did was the very powerful commitment to advocacy that they had. My interpretation of this situation is that the scholarly work of public health and its advocacy are in an uneasy tension, and it is not uncommon for the advocacy work to become the dominating feature, even in academic journals such as Vaccine where Professors Durrheim and Jones published their commentary. Advocacy is embedded within politics, and so has a very uncomfortable relationship to science and to critique. Some of my encounters and observations in a department of public health illustrate the issues that I grappled with and, I think, shed some light on why we might see such precarious arguments put forward by Professors Durrheim and Jones with their misrepresentations, omissions and lack of scholarly engagement. The first illustration relates to a series of seminars that were presented in the department’s usual seminar slot. At one of these Friday seminars a young economist from another university presented her findings on the economics of a meningococcal meningitis vaccination campaign that was being undertaken in New Zealand in response to an increase of cases of the disease. The economist provided a critical analysis of the economic assumptions made in support of the development of a vaccine and its trial on the children of New Zealand to try to eliminate the disease. At the end of the presentation a Ministry of Health official took the economist to task, stating that she should not talk about her interpretations in public unless her analysis had been approved by the Ministry. I was somewhat taken aback by this, and to my shame I did not speak up to say that the economist had every right to present her arguments in a public forum that could then be debated. I was expecting, or hoping, that one of my more senior public health colleagues would have taken this step. But none did. The upshot of this was that the economist immediately withdrew her paper from a university website, on the advice of her supervisor who suggested that it might have a negative impact on her career prospects, and the Ministry of Health official’s demand that the Ministry put things to rights with their own seminar presentation was immediately accommodated. What I had witnessed here was the passive acceptance of the suppression of research from my public health colleagues, something that I played a part in by not speaking out. The argument made against the economist sounds very much like the sort of argument that Durrheim and Jones are putting forward. At a later seminar on the meningitis campaign a Ministry of Health official presented the Ministry’s case for supporting the development and trial of the vaccine. He was an enthusiastic and open presenter. During his presentation he pointed out that in the Ministry’s opinion the vaccination campaign was only really justified in the Auckland region of New Zealand, where there had been an increase in cases, but on epidemiological grounds it could not be justified for the rest of the country. 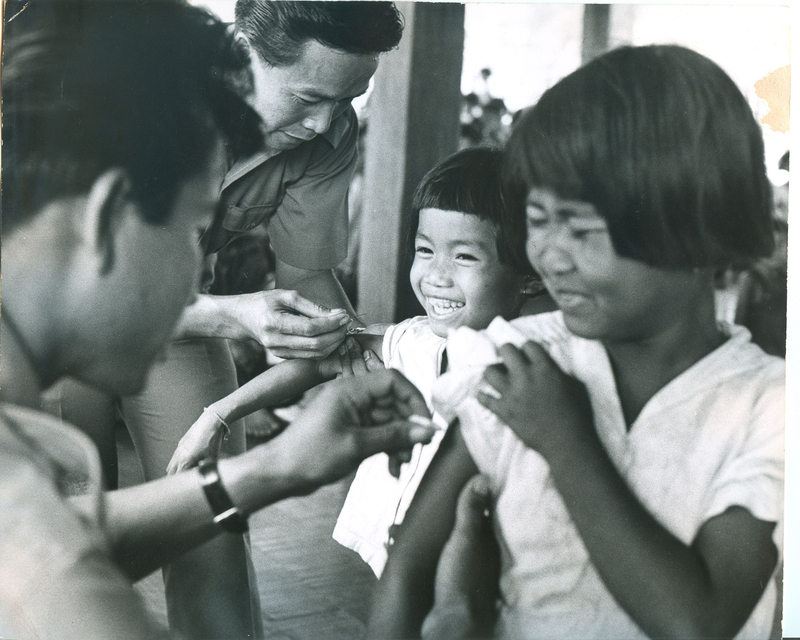 However, because of political concerns that if the vaccination campaign was restricted to one part of the country there would likely be a public outcry if a case of meningitis appeared outside that zone, the decision was made to vaccinate children throughout the entire country. This highlights that the decision-making processes around vaccinations are not simply clinical or epidemiological decisions, they are social and political decisions as well. As such, they should, and in my view must, be open to critical evaluation, however, Durrheim and Jones’ stance is that no such evaluation from ‘outsiders’, such as economists or sociologists, is allowable. I suggest that in their view to undertake the scholarly work of critique risks undermining their advocacy work. When advocacy dominates, critique is anathema. My next illustration is not related to vaccinations, but again provides some support for my interpretation about the tension between academic and advocacy work. During my time in the public health department a number of my colleagues pushed for the university to prohibit researchers from associating with tobacco companies. Whilst this was being discussed the department arranged a debate. I had expressed my concern about this prohibition and so I was asked to participate in this debate. Although I view tobacco companies as odious entities, I argued that to restrict researchers from undertaking research on tobacco would not only limit possible innovations in the use of tobacco in the future (who knows, there may even be non-toxic uses of the plant) but that the logic would be to identify other odious corporate entities and prohibit research activities related to them, and so on. Rather than restrict researchers, we should work to ensure that researchers undertake research that is ethical, has academic rigour, and is protected from any potential suppression of findings that might be challenging to the corporations. The debate was fiercely contested but undertaken in the spirit of open argument. At the end of the debate two senior colleagues of mine approached me and stated that they found my argument convincing, but that they would still support the prohibition anyway, their priority being to use any strategy possible to achieve their public health goals. Rather than taking an opportunity to support academic freedom, and perhaps ensure that any university researcher associated with a corporate entity should be assured that the results of their research would not be suppressed by that entity, the public health advocates pushed for restrictions on academic freedom, opening the door for further encroachments and the sort of suppression of views advocated by Durrheim and Jones. These are of course personal reflections. In the social sciences there is a developing but small amount of critical scholarship in relation to vaccines, and a broader base of critique of public health assumptions and processes more generally. I have contributed to this literature myself, particularly with the book The Cult and Science of Public Health (Dew 2012). I could add many more personal examples to ruminate on, but what I have provided is perhaps sufficient to indicate the sort of issues that I wrestled with that led me to my particular understanding of the work of public health. As I noted at the beginning, public health academics can be respected for their strong sense of social justice and commitment to improving the health of the population. I am of the view that Durrheim and Jones can be respected in the same way. At times their commitment and advocacy meant that my public health colleagues would come under attack, and efforts would be made to bully them or suppress their work, coming from major corporations opposed to their analyses, from members of the public horrified by their collective spirit and from politicians whose policies were unsettled. For me, public health advocacy is a very important part of current politics. But it is also potentially dangerous. Rather than pursue the sort of advocacy promoted by Durrheim and Jones, which leads to suppression and the stifling of debate, I think we need to work out how to nurture those who take an academically rigorous critical stance to public health, alongside those who are advocates for public health. Durrheim and Jones have in their title the phrase “the necessary limits of academic freedom”. Academics, in my view, are not free. There are many ways in which academic freedom is limited, some subtle as in research performance measures, some clumsy, such as in the active suppression of critical work; other restrictions such as staying away from certain topics of research are self-imposed. Nevertheless, in order to preserve a critical voice we should refrain from imposing further constraints on academics. Public health advocacy, as promoted by Durrheim and Jones, is a political strategy. As Brian Martin has pointed out, it is not good scholarship and it is to their discredit and to the discredit of the journal Vaccine if they think a political strategy should be given the veneer of scholarship. Furthermore, the misrepresentation of another’s work is unjustifiable even in advocacy and is particularly concerning when discussing political and policy strategies with far reaching consequences. Their stance must be critiqued and Brian Martin is to be applauded for the part he has played in critique. Dew, Kevin. The Cult and Science of Public Health: A Sociological Investigation. New York: Berghahn, 2012. Durrheim, David N. and Alison L. Jones. “Public Health and the Necessary Limits of Academic Freedom?” Vaccine 34, no. 22 (2016): 2467–2468. http://www.sciencedirect.com/science/article/pii/S0264410X16300792. The odd thing here is that all the defenders of Wilyman’s PhD seem to studiously ignore the fact that the one reviewer who had expertise in the subject area, judged it not to pass muster. Wilyman freely admits that she set out to write a thesis to support her pre-existing anti-vaccine beliefs. That is grossly unscientific. She ignored literature contradicting her claims. She asserted conspiracy without evidence. Her PhD is of no objective merit, it does not play any role in advancing the field of study because every potential point at which it might do so, is refuted or entirely unevidenced. Your opinion is not correct. There were no criticisms by the examiners of the information presented in my thesis and they did not consider that I had ignored any of the literature. The examiners requested some additional information to support the arguments I presented. You have also falsely claimed that I set out to write a thesis based on my pre-existing beliefs. As I had vaccinated two of my children I was hoping to find literature to support this action and I cannot be called ‘anti-vaccination’ if I have vaccinated my children. So my pre-existing beliefs were to vaccinate and this formed the basis of my thesis. It is clear that you have not read my thesis or addressed any of the arguments in your disparagement of my PhD thesis. My thesis does not mention ‘a conspiracy theory’ and it is interesting that you feel it is acceptable to influence peoples opinions on this health issue with this false information. How bizarre. Where did Guy Chapman find such absurd misinformation?